He was an ordained Presbyterian minister with a degree in music composition. Fred Rogers was an unlikely television star, but he became a beloved icon for generations of Americans. The mere mention of his name might prompt nostalgic reverie for many viewers, but in retrospect, it is quite remarkable how compatible his teachings were with the current mindfulness movement. Mister Rogers emerges as a figure both very much of and ahead of his time in Morgan Neville’s fond portrait Won’t You Be My Neighbor? (trailer here), which opens this Friday in New York. The sweaters, the tennis shoes, the puppets, the piano, and the troubled children he consoled are all here. After a few years of supposedly adult life, Mister Rogers seems almost impossibly soft-spoken in the vintage clips Neville liberally incorporates into the film. Yet, it is the same Fred Rogers we also hear testifying before Congress, joking with his crew behind-the-scenes, and in his occasional specials for adults. Indeed, Neville and Rogers’ family and surviving colleagues quickly establish that he was truly the real deal. Neville, who rediscovered Rogers through his work documenting Yo-Yo Ma (a frequent guest on Mister Rogers’ Neighborhood) in The Music of Strangers, managed to score rare interviews with his widow and two grown sons, as well as several regular cast-members, including David Newell (Mr. McFeely of “Speedy Delivery” fame), “Officer” François Clemmons, and “Handyman” Joe Negri. Alas, Neville does not establish the latter’s credentials as one of Pittsburgh top jazz guitarists, nor does he discuss Johnny Costa’s longtime role scoring the show, which is frustrating for jazz fans, but his film is not intended as a definitive history of Rogers or his treasured show. Still, Mister Rogers’ musical hipness deserves its due (here’s a clip of the great tenor saxophonist Eric Kloss making a guest appearance). Regardless, Neville is more concerned with Rogers’ ideas and message—and that’s fair enough. Throughout the film, we hear Mister Rogers explicitly encourage children to appreciate moments of silence and to engage in reflection. Fred Rogers was Presbyterian and Thich Nhat Hanh is a Zen Buddhist, but you can certainly here a kinship between them in these classic excerpts (here and here). There are plenty of such moments in the film as well, like when Rogers invited young viewers to silently observe the passing of an entire minute (in real-time air-time). 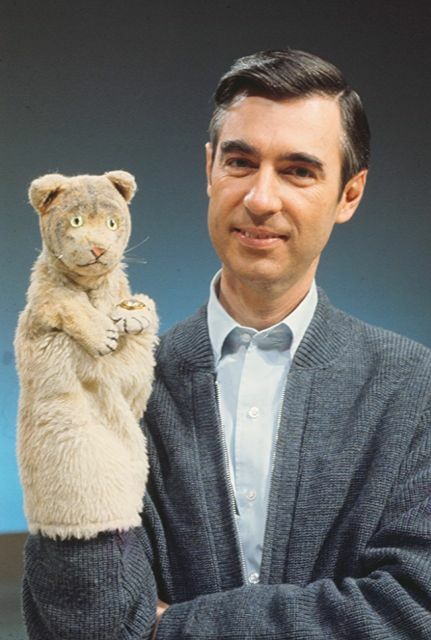 Honestly, PBS and the Fred Rogers Company could sell hundreds of thousands of units and reach millions of adults if they released a Mister Rogers’ Mindfulness compilation DVD. Why spend money on dubious seminars when you can turn to one of the most trusted names from your youth? Even if you prefer life loud and unexamined, Won’t You Be My Neighbor will rekindle old affection and inspire new respect for the children’s programming pioneer. Clearly, Neville was inspired by his subject, especially when he deftly employs Rogers’ own listening and interviewing techniques to elevate his talking head segments into beautifully poignant moments. It just shows we can all still learn a thing or two from Mister Rogers. 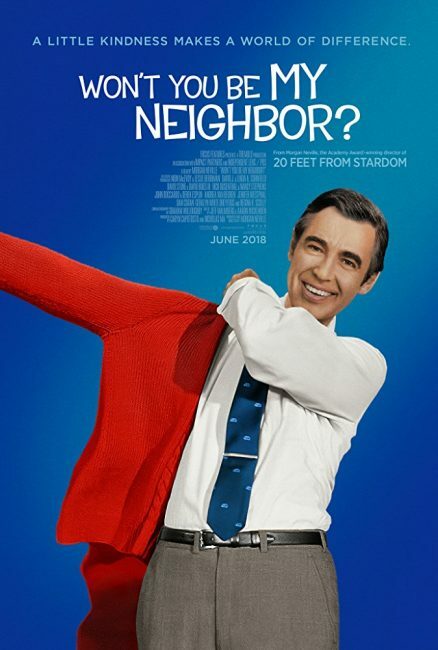 Enthusiastically recommended, Won’t You Be My Neighbor opens this Friday (6/8) in New York, at the Angelika Film Center.